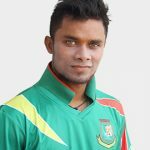 Mohammad Nasir Hossain is a talented Bangladeshi all-rounder who scored a maiden international century against Pakistan in the Asia Cup and came into the limelight among Bangladeshi cricket’s fans. On August 2011, Nasir made his ODI debut against Zimbabwe and in October 2011 he made his Test debut against the West Indies. 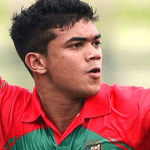 Nasir Hossain was born on November 30, 1991, in Rangpur, Bangladesh. He was born in a joint family and it went into a financial crisis. He has a younger sister. Nasir’s early life was shaped by hardship as his father couldn’t afford with the family cost. However, he was so much passionate about cricket and used to play cricket from early life. 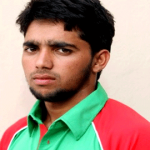 Nasir moved to Dhaka pursuing build up career as a cricketer collecting a few money from some nearest relatives. Nasir Hossain is regarded as the best entertainer among the Bangladeshi players and always magnificently performs his job in world cricket arena. 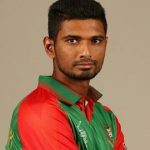 Not many players have been able to strengthen their position in the Bangladesh team as quickly as Nasir Hossain has done since his arrival. He tremendously hit his maiden Test ton against Sri Lanka on March 2013 at Galle. Already he has earned an appreciation of the fans with his useful late order batting, off-Spin, and athletic fielding. He likes mostly the batting of Mohammad Ashraful and Mushfiqur Rahim in the national team. Nasir Hossain is a single yet. 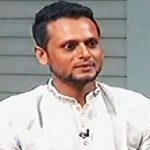 It is reported, he has the love relationship with some girls in Dhaka and criticized by the cricket official due to remain engaged with the mobile phone in most of the time. 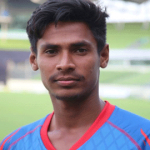 There is a rumor, he is out of Bangladesh National for a personal dispute with Cricket Board’s president Nazmul Hasan Papon even frequently is sidelined him during the match if he has taken for the match. A girl named Humayra Shuba claimed that Nasir had a physical relationship with her. The fact went to viral on the social media largely. But Nasir refused the accusation and stated the girl took advantages of his weakness.